﻿Our Sicily wine & hiking tour begins in Palermo, the richest city in Europe in the 1100s. Its outskirts provided hunting grounds for royalty, and in 1166 the Norman King William II built a magnificent cathedral there overlooking the fertile valley. Today the Cathedral of Monreale remains one of the masterpieces of Byzantine art, with floor-to-ceiling mosaics and gold leaf everywhere. After a morning pickup in Palermo, we’ll shuttle up to Monreale and begin there, soaking up the Eastern flavor of Sicily’s art. Then we drive an hour to our complementary welcome lunch and wine tasting at Alessandro di Camporeale. Here members of the Alessandro family will rustle up such regional dishes as caponata (sweet-and-sour eggplant and bell peppers), Sicilian pecorino, and homemade pasta—all accompanied by fantastic wines, from crisp cataratto to spicy syrah. From Camporeale, we do a warm-up hike on country roads that wind past vineyards and farms towards Alcamo, getting our first taste of Sicily’s wine country. We then check into our hotel, which sits directly on the bay of Castellammare del Golfo, an active fishing village. Dinner features fish fresh from the Mediterranean. In the afternoon, we head to the boutique winery Ceuso for a tour and tasting. Ceuso was started in 1990 as a labor of love by the three Melia brothers: a farmer, an enologist, and an agronomist. 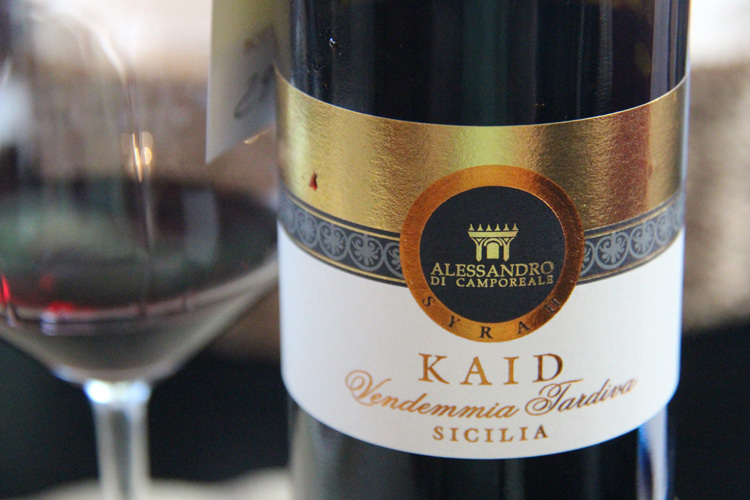 It makes luscious, oak-aged blends of nero d’Avola and French grapes, inspired by mentor Giacomo Tachis (of Sassicaia fame). Our hosts will be Giuseppe Melia and his niece Luisa, who will show us around the 1860 baglio (a fortified farmstead) that the brothers slowly restored. They’ll give us a first-hand account of the winery’s rise to success. Dinner is back in Castellammare, where we’ll find such dishes as seafood risotto and grilled swordfish with cherry tomatoes. And who can say no to cannoli? Mid-afternoon, we head to the award-winning winery Spadafora, which takes its name from the noble family Spadafora (“sword unsheathed”). Its prince, Francesco Spadafora, will be our host. As winemaker, he’ll present a panorama of finely crafted wines, from indigenous nero d’avola to wonderful cabernet blends. You’ll see how much French grapes like the Sicilian sun! We return to Castellammare for another scrumptious dinner. 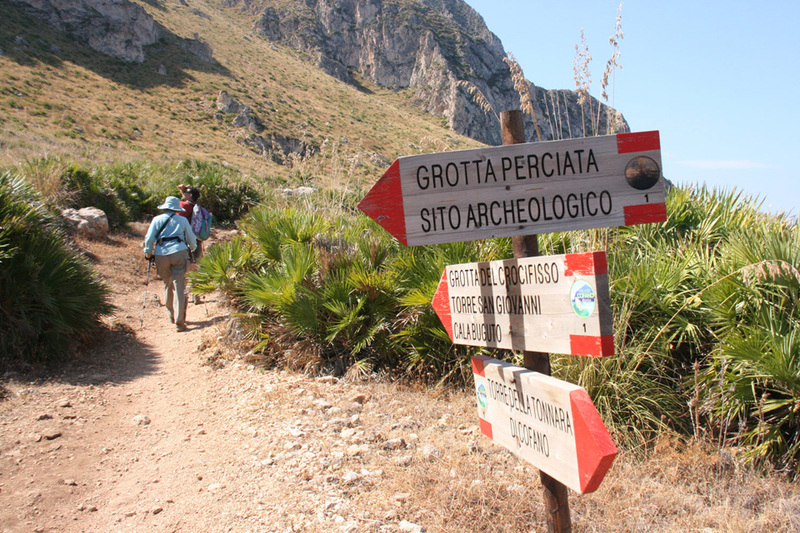 Today we hike on a peninsula that juts out like a finger in the sea, pointing towards San Vito lo Capo. Here lies the Zingaro Nature Reserve, a park with seven miles of pristine coast and 1700 acres of unspoiled nature. All along the rocky trails are steep cliffs, exotic flora and fauna, and paths leading down to hidden coves, where we can dip our feet in the water or jump in for a swim. The reserve also contains several educational museums in former fishing huts that illustrate an old way of life, showing how baskets and ropes were made from palms and ash trees were tapped for sap. Older still is the reserve’s towering prehistoric grotto, Uzzo, that sheltered the local population 8,000 years ago. 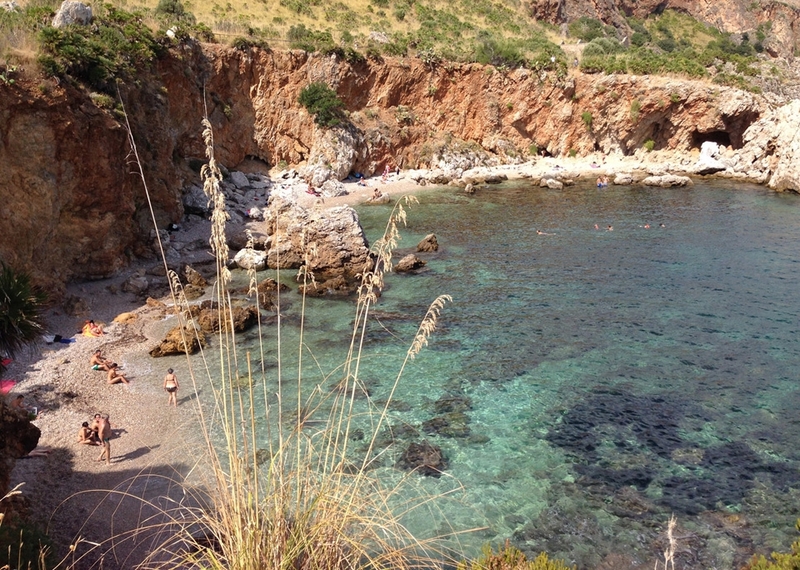 After this splendid hike, we’ll refuel on seafood pasta in the nearby village of Scopello. Save room for a Sicilian specialty: granita di café, with a dollop of whipped cream, naturally. We then transfer to Marsala (1-hour drive), settling into our second hotel, a gracious former convent in the heart of town. Dinner is at one of Marsala’s better restaurants a short walk away. After some free time in Erice, we return to Marsala for our afternoon tasting at Donnafugata. One of Sicily’s most prominent wineries, it is owned by the Rallo family, which once made Marsala wine, then sold the brand name and switched to dry table wine in the 1980s. Naming their new enterprise after a character in Gattopardo (The Leopard), Donnafugata is consistently among the Tre Bicchieri winners for its nero d’avola–based blends and its nectar-like passito, Ben Ryé. Dinner is on your own in Marsala. Today’s hike is an easy and educational loop around the small island of Mozia, once a base for Phoenician sailors and tradesmen. In the early 1900s, Joseph Whitaker, member of a prominent Marsala-producing family, started excavating. The artifacts he unearthed form the core of a superb little museum. Other ruins still dot the island—stone gates, mosaic pavements, necropoles, even a submerged road. We’ll circle Mozia twice: once on a private boat to get an overview, then on foot to absorb the atmosphere as we walk amid prickly pear, agave, palms, and ancient ruins. We then return to shore to see how sea salt is harvested. 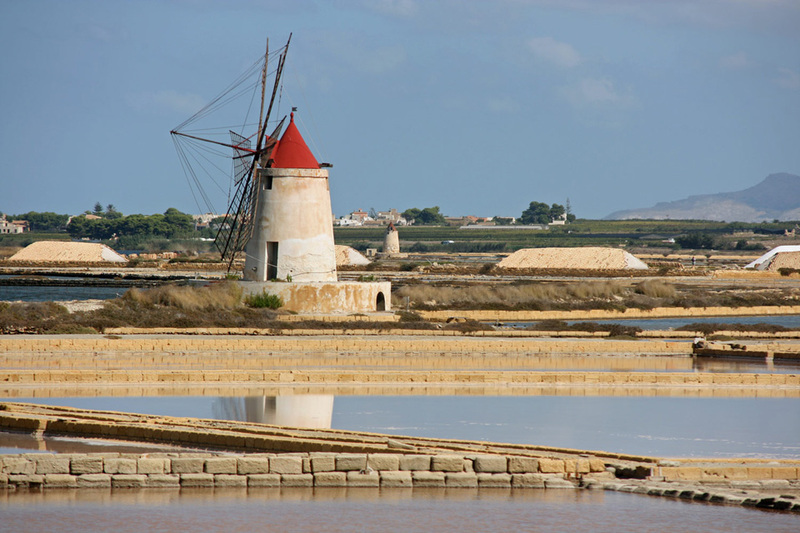 Since ancient times, Sicilians have used evaporation ponds and windmills to crystallize salt from the protected lagoons between Trapani and Marsala, where a steady sea breeze and protected coves make the conditions ideal. We’ll visit the saline, watching a film that shows the year-long process, then have lunch nearby. In the afternoon, we finally have our marsala tour! We head to De Bartoli, the winery that resurrected the real marsala as a praise-worthy meditation wine. We’ll see how marsala is perpetually blended and aged using the solera system, then sample De Bartoli’s array of dry wines (including Sicily’s first 100% grillo), marsala, and passito from Pantelleria. Our farewell dinner is outside of Marsala at an elegant hillside restaurant. DAY 7 – BUON VIAGGIO! 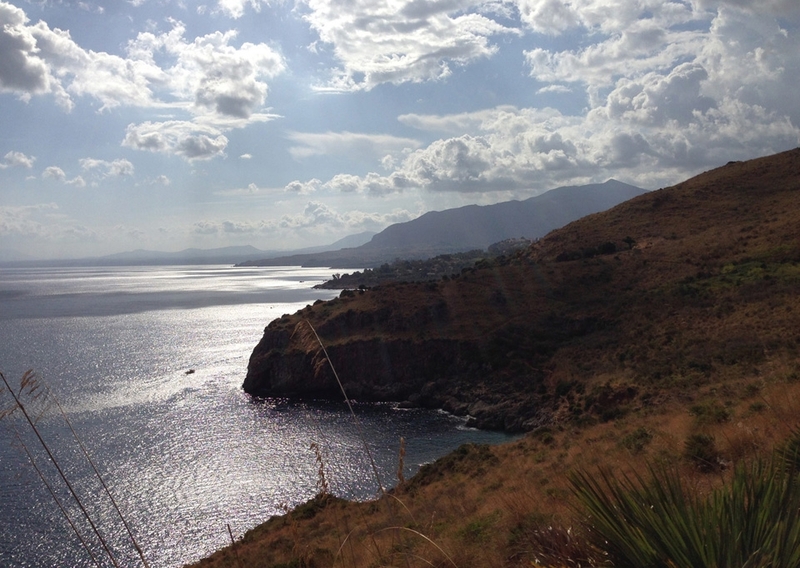 Want to do Sicily, but without the hiking? No problem! Check out Discover Sicily in western Sicily and The Volcanic Wines of Etna in eastern Sicily. These hikes are generally 2 to 3 hours. During the course of the week, they alternate between easy and flat, and challenging and hilly. Our easy days are either on country roads or on footpaths on a flat island. Our more challenging days are in two nature preserves, where we're on rocky paths and have a few climbs and descents. For these days, walking sticks are helpful, and shoes with good treads are essential. For those unable to do the more challenging hikes, we can provide shortened alternatives. Shuttle to Palermo airport by 11:00 a.m. Contact us if your flight requires an earlier arrival.